The 911 GT3 with Touring Package will be unveiled at the 67th International Motor Show (IAA), which takes place from today (September 12) to 24, 2017 in Frankfurt. It is available exclusively with a manual six-gear transmission, and instead of the fixed rear wing it has a variable rear spoiler like the 911 Carrera. Beneath its understated exterior is pure motorsport technology: The four-litre naturally aspirated engine taken from motorsport reaches 368 kW (500 hp) and generates a torque of 460 Nm. In combination with optimum gear changes, the 911 GT3 with Touring Package sprints from 0 to 100 km/h in 3.9 seconds to reach a top speed of 316 km/h. 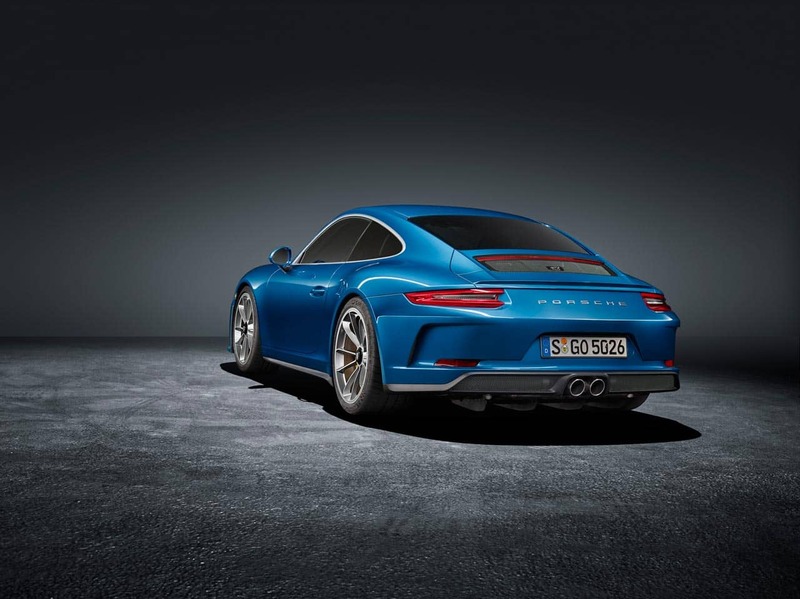 With the exception of the rear, the body of the GT3 remains unchanged in the variant with Touring Package. This means it has large air intakes in the specially designed front end, as well as the air outlet that is typical of the 911 GT3 model, located in front of the luggage compartment lid. The interior creates the feel of a classic sports car with manual transmission. In line with the character of a puristic GT, fine leather is prevalent rather than Alcantara. The steering wheel rim with twelve o’clock marker, shift lever, door panel armrests, centre console storage compartment lid and interior door handles are upholstered in smooth-finish leather.